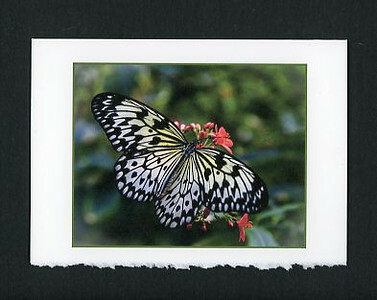 These 5 by 7 inch note cards are printed with pigment inks on a heavy (80lb), textured and acid-free card stock having a deckled edge. Once dry, the front of each card is sprayed with an acid-free, non-yellowing varnish before being packaged in a sealed plastic sleeve. The matching envelope also has a deckled edge on the flap. The cards and envelopes are either white or ivory, as indicated by the "(W)" or "(I)" following the card titles found under each image on the six collections, A through F.
Each card is identified by the "letter-number" code preceding its title (e.g., "A-7" or "D-12") and may be ordered via email by indicating the desired number of cards for each code. Clicking on "CONTACT DOUG" just below will open an email message that may be sent to me. The cards are priced at $3.50 each for one to five cards. 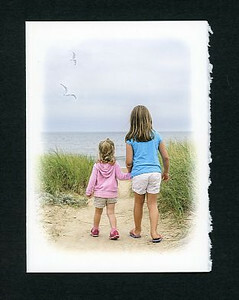 Six to eleven cards are priced at $3.25 each and a dozen or more are $3.00 each. Please inquire about wholesale pricing for orders of four dozen or more. All prices include shipping to U.S. addresses. Orders in the Westfield, MA area need not incur delivery costs. 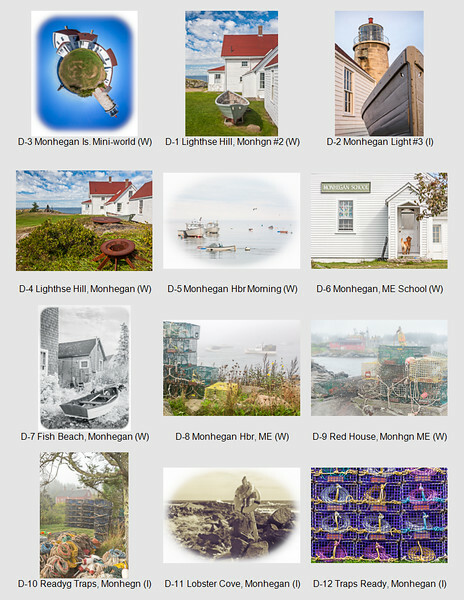 Please request local pricing and delivery arrangements using the "CONTACT DOUG" email link below.